Looking for musicians to play at Southwest Arbor Fest! https://www.gjcity.org/siteassets/parks-and-rec/pdfs/musicianquote-2019.pdfs Deadline if more...0 February 15. Viva el Vino is a fun wine, beer, and premium liquor tasting event that features great international, national, and local wines, as well as more...0 scrumptious food and dessert. This fantastic evening also includes an elaborate silent auction that has something for everyone. This year we will feature the classical guitarist, Javier de Los Santos, playing on the CMU ballroom garden terrace As Junior Service League’s main fundraising event, net proceeds from the event benefit local not-for-profit organizations. In 2018 the Junior Service League donated $55,000 in grants to local organizations in Mesa County! Funds typically benefit non-profits that focus on women and children services, hunger and the outdoors. This cocktail-attire event is a great opportunity to get your friends together for a night out! 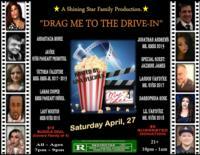 An evening of drag performances from movie and musical soundtracks, hosted by Gina D'Licious. 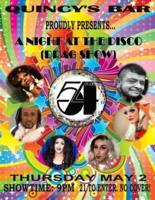 All-ages show 7pm-9pm, adults 9pm-11pm. $15 bundle more...0 deal for a family of four. Seminar Doors at 8:30am Seminar's run 9am - 12pm Public doors at 12pm Come watch some of Colorado's best barbers battle it out LIVE on stage more...0 at the Two Rivers Convention Center, with celebrity judge Rob the Original! Join us on April 28 starting at 12 pm, don't miss out on this great art form, vendor booths and lots of family fun! Soar into May with Wings for the Earthbound: Conversations with Creative Risk-Takers. Presented by the Western Colorado Writers Forum and hosted in more...0 the KAFM Radio Room on Sunday, April 28th from 4-7pm, this event will feature: Poet - Luis Lopez, Violinist - Alisha Bean, Vocalist - Jack Delmore, Fiber Artist - Sue VanVorhesse, and an Open Mic opportunity! Since his debut on the music scene in the early 90’s, Kershaw has remained one of the most consistent power hitters in country music—both more...0 with a chain of major hit records and sell-out touring schedules. Sammy Kershaw’s plan for country music is re-claiming its roots and recapturing the spirit that made it great “Man, for someone like me who had George Jones’ music imprinted in my DNA before birth, the last few years have been rough as a fan of country music,” noted Kershaw candidly in a recent national interview. “Country music is not a formula…it’s a music with its own soul…and I’m all about saving that soul!” Kershaw’s current album "Honkytonk Boots" promises to be a much-anticipated first step in that plan of salvation. For the newest Kershaw project, the singer’s soulful sound and Cajun vocal kick is teamed back-up with the genius of producer Buddy Cannon—whose efforts, like Sammy’s, have lined his walls with platinum. Sammy’s vibe about his latest studio venture has all the earmarks of a proud father talking about his new arrival “In music, everything is timing. I knew when we were in the studio working on the new album that we had something radio and fans are ready for…the feel of the album is a return to the kind of country music I, and a lot of other people, have missed.” Powerful words from a man who has picked, written, and sung a lot of hits. Often referred to as the “heir apparent” to the legendary ‘voice’ himself—George Jones—Sammy Kershaw helped make the ‘90’s a shining decade for country music. It’s a comparison not lost on Sammy, who grew up in the Cajun country of Louisiana on a diet of crawfish and country music. The oldest of four children, the tragic loss of his father, matured him even faster than the clubs and honky tonks he was performing in at 12 years old. He speaks openly today of years spent battling substance abuse and addictions. “It’s not a period of my life I’m proud of but I do talk about it to encourage kids not to follow in my footsteps,” Kershaw recently noted. Helping others is a subject close to the heart that beats within what might often appear to be a tough, macho exterior. Sammy Kershaw is, in fact, a softie when the subject turns to kids. If proof were needed it stands in his hometown of Kaplan, Louisiana. There Sammy has established the Sammy Kershaw Foundation. Its outreach has extended through donations so far of more than 2 million dollars in aid to children and child related charities. With projects that extend from granting wishes through “Make A Wish Foundation” to establishing camps for crippled children, the foundation exists to fulfill Sammy’s simple goal of improving the lives of children. In the course of breaking into the ranks of stardom in country music, Sammy Kershaw has made contributions to more than just the charts. His platinum albums were propelled into the records books by hits such as “She Don’t Know She’s Beautiful,” “I Can’t Reach Her Anymore,” “National Working Woman’s Holiday,” “Love Of My Life,” “Cadillac Style,” “Don’t Go Near The Water,” “Haunted Heart,”…and many other milestones.